On a clear crisp morning on 20th October 1941, in the city of Norwich, three young lads met at a bus terminal for the first time. They were John Smith from Walsall Staffordshire, Tom Brennand from Blackburn Lancashire and Bob Ball from Bexhill-on-Sea Sussex. They discovered that they were each waiting to catch the same bus that would take them to the village of Ingham. There they would receive first class training, second to none in preparation for war time service on deck in the Merchant Navy. 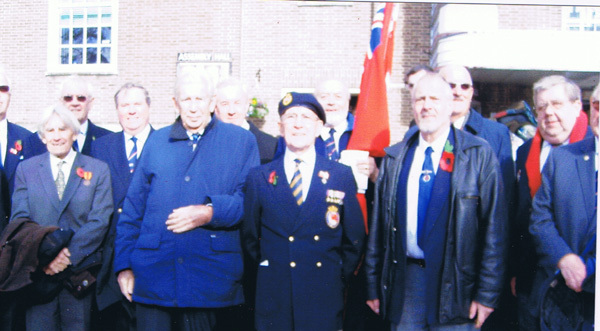 They were all keen for the opportunity to be able to serve their country in its time of need. 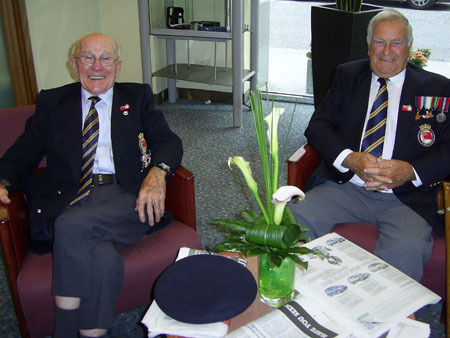 They bonded together straight away and formed a friendship that continued throughout their training period and for John and Bob a lasting friendship that would continue throughout both war and post war years for both themselves and their respective families. On the completion of their intensive training, the three lads left the school together in 1942 and each joined the very different ships assigned to them. Tom Brennand signed on the Blue Funnel Line M.V Stentor a passenger cargo vessel. His ship was torpedoed on the 27th October 1942, off the Canary Islands by U Boat 509, Kapitan-Leutnant Witte. From a compliment of 246, only 201 survivors were picked up by HMS Woodruff. Tragically amongst the 45 who lost their lives was young Tom Brennand, aged fifteen and a half years old. He had only left the PWSTS a few months earlier. He was an only child. U Boat 509 was subsequently attacked by aircraft on 15th July 1943 off Madeira. She was sunk losing all hands. John Smith signed on the Donaldson Line M.V Cortona, a general cargo ship of 7093 grt, and when outward bound from Liverpool to Buenos-Aires was torpedoed in the Atlantic in August 1942 by two U Boats U201, Kapitan Schnee and U116, Kapitan Werner von Schmidt. 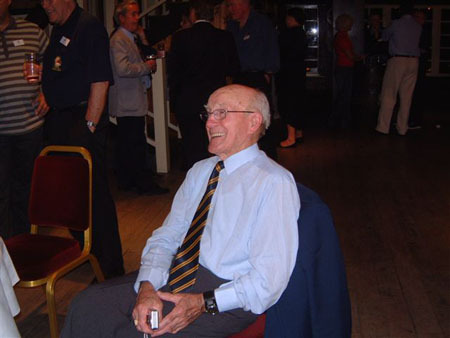 John spent ten days in a life boat with twenty three other survivors. They attempted to land fall in the Canary Islands but were picked up by HMS Pathfinder and landed in Londonderry. The second life boat launched, commanded by the first mate and twenty nine crew members were never found. John being a fit young man, easily shook off this war time experience but what he did find hard to accept on being paid off at the end of that unfortunate episode was the discovery that it was general practice of all shipping companies to stop crew members wages at exactly the time their ships were sunk beneath them, together with all their possessions, for which they received no compensation. How very different were American Seamen treated by contrast when the USA entered the war. Each and every man was insured by their government for $10,000. Their wages were twice that of our own on top of which they received bonuses for every theatre of war in which they sailed, 100% for North & South Atlantic & Mediterranean, 80% for the Pacific and Indian Oceans and 40% for sailing anywhere else. John Smith carried on with his war time service without any further mishaps and decided to make seafaring his career and with the help of friendly bridge officers he studied and passed his Third-Second and First mates examinations. He finally obtained his Masters Certificate while serving with Caltex & Texaco Oil Company during which time he took command of the Texaco Greenwich – London – Britain – and Spain to name but a few. He retired with his wife Maisie to Eastbourne in 1981 with the rank of Senior Company Master. Bob Ball signed on the Union Castle Line Capetown Castle 27,000 grt a 26 knot troop ship which owing to her fast turn of speed sailed unescorted out of convoy. 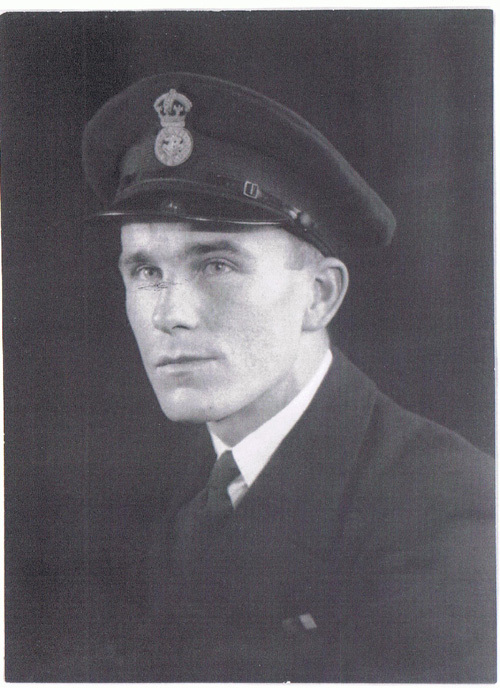 His first trip as such was almost uneventful by comparison with that of Tom and John’s experience and he served on a wide variety of ships there after mostly on Atlantic crossing in convoy. He later took part in the D Day Normandy landings initially getting Canadian troops from the Lake Superior Regiment and their equipment successfully onto their beach head. Then shortly after was engaged in shipping supplies and equipment to our forces engaged in the push up Italy on the Adriatic Coast and then with a crossing to Dubrovnic and Split with supplies and weapons for Tito’s Yugoslavian Chetniks. Bob carried on seafaring after the wars end for a further two years before leaving the sea to join the family construction business and later taking up post in Nigeria and the West Indies. He gained a degree in Civil Engineering and finally retired in 1993 with his wife Ilse in Bexhill-On-Sea. The number of merchant ships lost during the last war totalled five thousand one hundred and fifty. Three thousand of which were sunk by U Boats and fifty thousand merchant seamen from the United Kingdom, Commonwealth counties, Canada and the USA lost their lives in the service of their countries. By comparison Germany’s U Boat service lost thirty five thousand men from a total number of forty thousand. It was very unfortunate that in 1975 the Prince of Wales training school was obliged to cease functioning, probably caused by the lack of requested from shipping companies for fully trained boys wishing to take up a career at sea. This is mainly due to the shrinking size of our post war merchant fleets and the practice of shipping companies generally registering their ships under various flags of convenience in order to cut costs. Plus the practise of engaging untrained and cheaper crews from various parts of the world who were prepared to work under lower standards and conditions than those enjoyed on ships flying the Red Duster.